This fabulous Island Park Reservoir waterfront home offers the finest finishes. 6 bedrooms, 5 1/2 bathrooms, den/study or dining room, 3 propane fireplaces, vaulted ceiling, walk-in closets, double mud rooms, custom cabinetry, jetted tub, central vacuum, and intercom system are just some of the many features. Master bedroom suite is located on the main floor and has a fireplace with sitting room and full bath. Full walk-out basement will lead you to the waters edge. The kitchen includes a double oven, garbage disposal, dishwasher, microwave, and refrigerator. 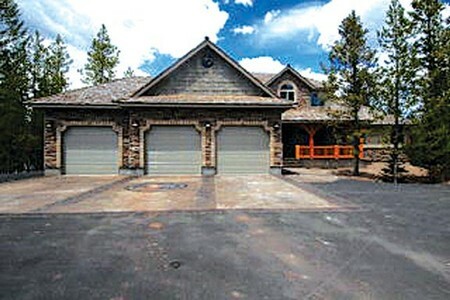 3 car garage, asphalt/concrete circular driveway, and paved subdivision roads are the topper on this 1.08 wooded lot. Year round accessible.